Who's the world's youngest MCTS? While most eight year old boys love playing computer games, Shafay Thobani is busy rewriting them. 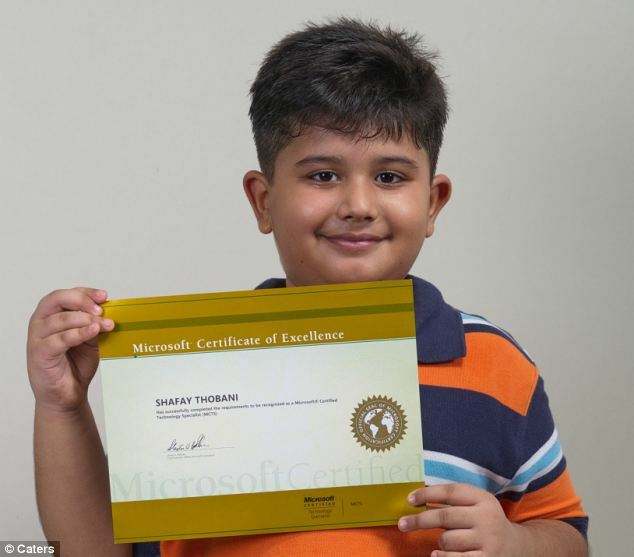 Shafay has become the world’s youngest Microsoft Certified Technology Specialist (MCTS), and has certified at the age of eight years and 24 days. On April 9 2012, he secured a score of 91 per cent in the relevant exams and got certified in MCTS in Microsoft Windows 7 Configuration and Microsoft Windows Server 2008 R2. In a 13-month course, he mastered complex internet protocol and domain name systems during. Had he heard of Firebrand Shafay could have been certified in just 11 days!